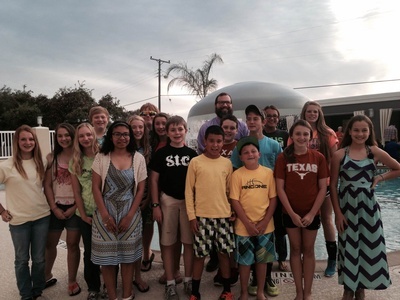 ​YLAC is a program of the Rockport-Fulton Chamber of Commerce and Rockport-Fulton Middle School. The program is modeled after the Leadership Aransas County Program and is designed to bring awareness to young people, challenge them to become engaged citizens, and prepare them to serve in leadership positions within our community. Sessions are held at various locations throughout the community to provide the opportunity to develop an awareness of community needs, the leadership skills necessary to meet those needs, and to work collaboratively with community leaders. Thanks to the Leadership Alumni who host the LAC Attack Kayak Fishing Tournament to fund this program there is no cost to the individual youth or their family.